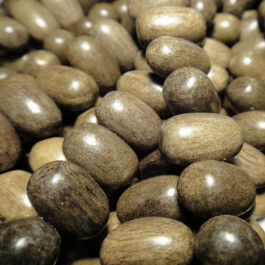 Greywood Wood Beads Oval 12x10mm (~50pce Strand) - 40cm/16'" Strand. Greywood Wood Beads Oval 12x10mm (~50pce Strand) - 40cm/16'" Strand. Greywood beads are from the Greywood tree. It is a top calibre smooth wood. It is not really grey at all - more a greenish/brown.